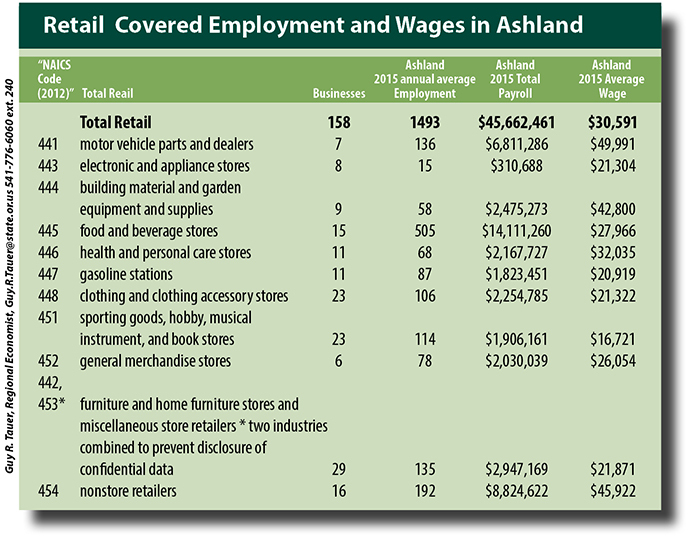 The retail industry in Ashland represents 1,423 employees and 157 firms. The average annual payroll, from 2013 of $26,515 is 97% of the state average in retail payroll. This industry is expansive and diverse representing retail businesses in clothing, auto and health, just to name a few. Ashland retailers are supported by a community of residents that are dedicated to shopping local and a large visitor base hoping to return home with a treat from Ashland.